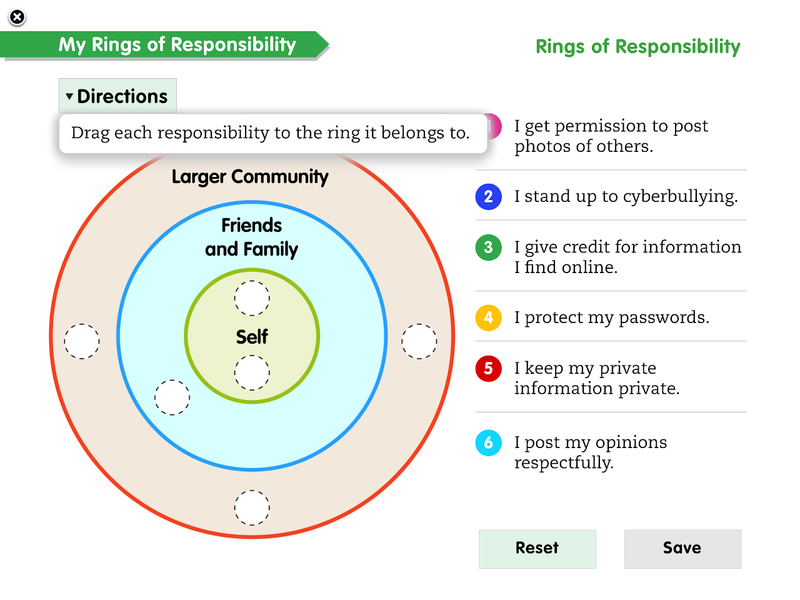 ISE Learning Commons: Grade 3 eUnit "Rings of Responsibility"
Grade 3 eUnit "Rings of Responsibility"
For the very first time grade 3 learned and used Digital Literacy & Citizenship eTextbook from Common Sense Media to learn what kinds of responsibilities a good digital citizen has. · reflected upon their offline responsibilities. · examined their online responsibilities. 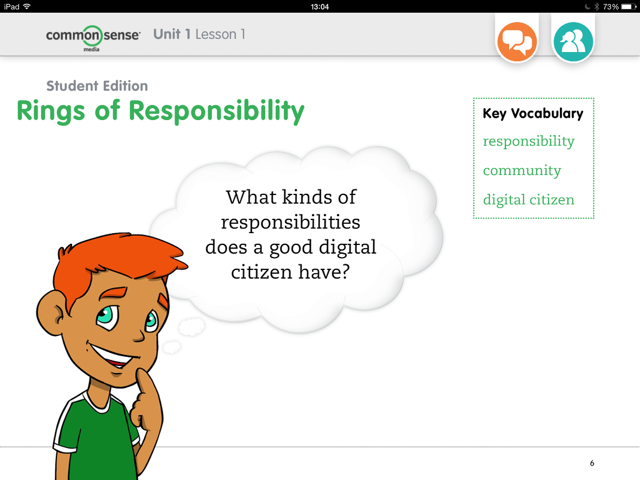 · learned that good digital citizens are responsible and respectful in the digital world (and beyond). We completed offline and online activities to learn about responsibilities to self, friends and family and larger community. Students were excited and somewhat distracted using eTextbook. It was a good alternative worth exploring further. 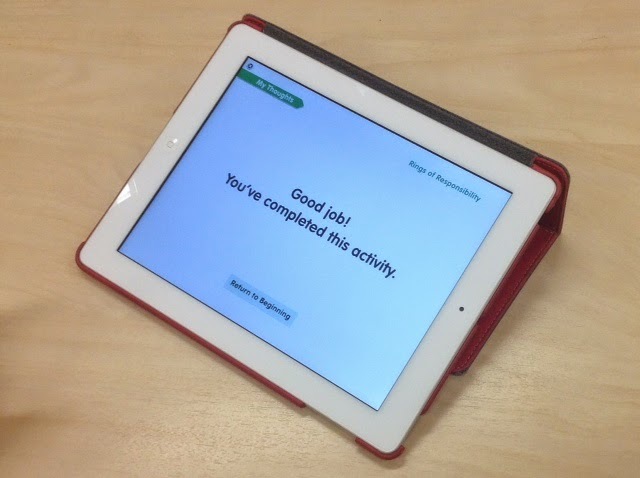 How can I get access to the interactive rings of responsibility activity?